YOU’RE SMART - People can’t seem to get enough of Will McAvoy’s (Jeff Daniels) speech in HBO’s former series The Newsroom. YOU’RE A “KNOW-IT-ALL” - Catch ya off guard a bit? Sorry! 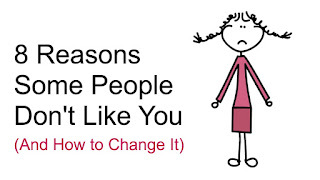 YOU’RE A GOSSIP - If you’re upset about this one being on the list, you just may be the office gossiper. YOU’RE CONTROLLING - Nobody expects nor deserves to be at the beck and call of someone else. Controlling (and manipulating) behavior is abusive, period. YOU DON’T LISTEN - The sixth reason on our list – not listening – is something we all do from time-to-time. The human brain is wired for novelty, and listening can be, well … boring. YOU DON’T THINK BEFORE SPEAKING - Some people can talk off the cuff better than others. In fact, some people convey their thoughts better this way. For example, extroverts are typically much better at this than introverts. 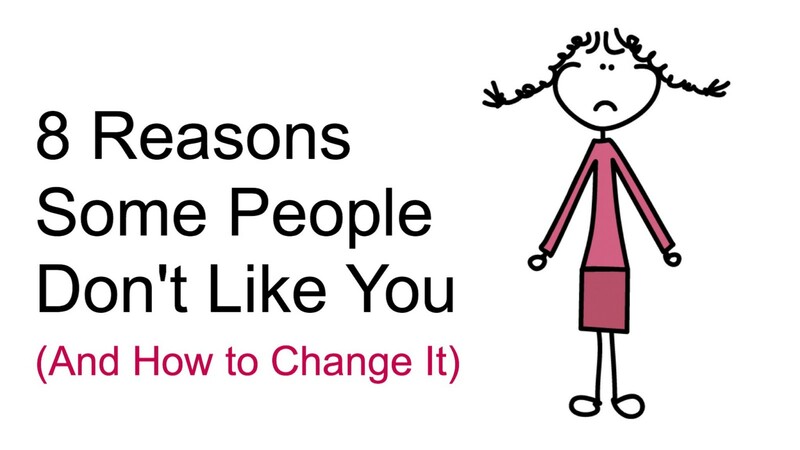 YOU TRY TOO HARD - Trying too hard – more specifically, wasting efforts on shallow things – is a behavior that many people either don’t appreciate or understand. 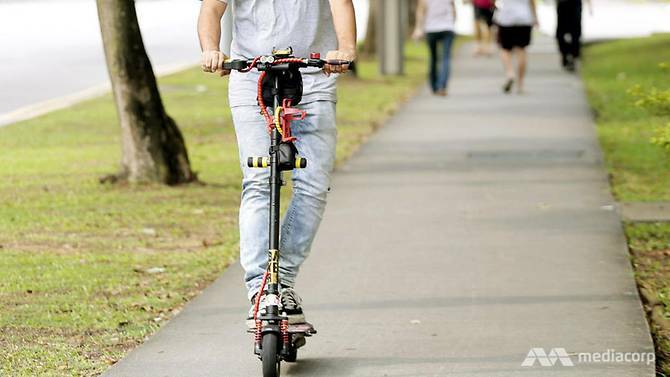 There were about 90 accidents involving power-assisted bicycles & personal mobility devices for the 1st half of this year, resulting in four deaths and about 90 injuries, Minister for Transport Khaw Boon Wan said on Monday (Oct 2). In a written reply to parliamentary questions posed by MP Sitoh Yih Pin, Mr Khaw said the majority of these accidents took place on the roads. The minister added that with the Active Mobility Bill coming into force by the end of the year, there will be stiff penalties for offences such as reckless riding. 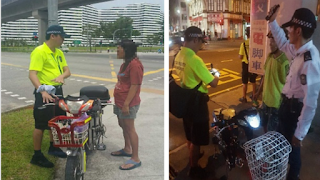 In the meantime, the Land Transport Authority (LTA) is stepping up its enforcement efforts & has issued more than 1,400 advisories for unsafe riding, he said. 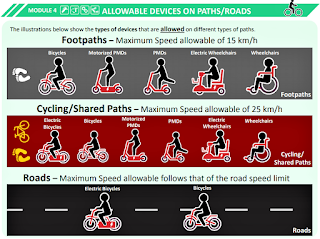 In the first half of last year, there were 90 accidents here involving electric bicycles and PMDs which resulted in four deaths and about 90 injuries. These figures indicate an extremely high chance of injury whenever there is an accident involving these devices. Extrapolating this trend for the full year, we would have 180 accidents and 180 injuries. 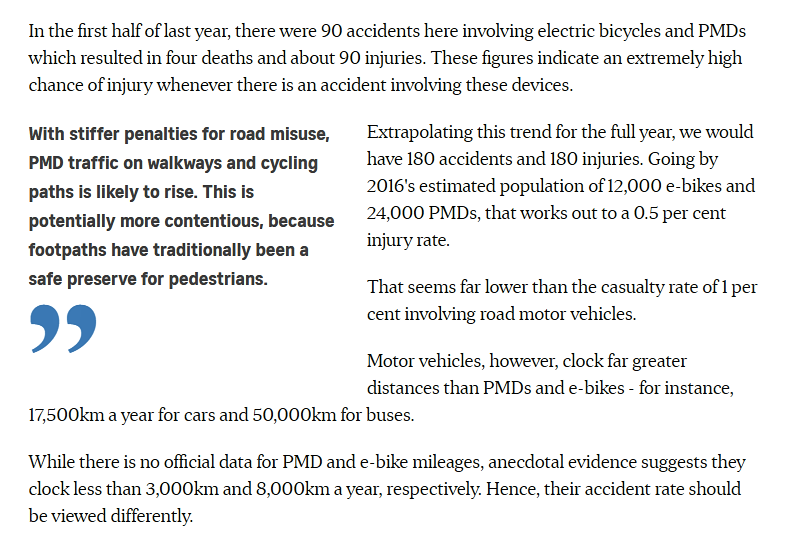 Going by 2016's estimated population of 12,000 e-bikes and 24,000 PMDs, that works out to a 0.5 per cent injury rate. That seems far lower than the casualty rate of 1 per cent involving road motor vehicles. Motor vehicles, however, clock far greater distances than PMDs and e-bikes - for instance, 17,500km a year for cars and 50,000km for buses. 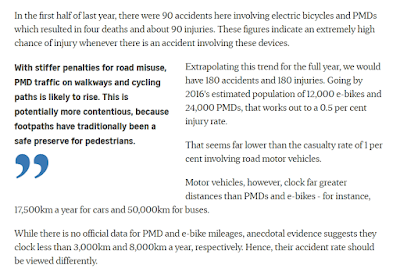 While there is no official data for PMD and e-bike mileages, anecdotal evidence suggests they clock less than 3,000km and 8,000km a year, respectively. Last month, 3 e-scooter drivers were charged in court for injuring pedestrians, among them a 61-yr-old woman and 2 boys aged 8 and 11, on three separate occasions in 2017. Mandatory registration of e-scooters was announced in March this year by the Land Transport Authority (LTA), which had earlier introduced similar requirements for electric bicycles. Tough new penalties have also kicked in for unregistered or non-compliant e-bikes. The authorities have been taking tougher action against errant users of personal mobility devices like e-scooters and e-bikes in the past year, amid growing complaints about speeding and reckless behaviour by the riders. 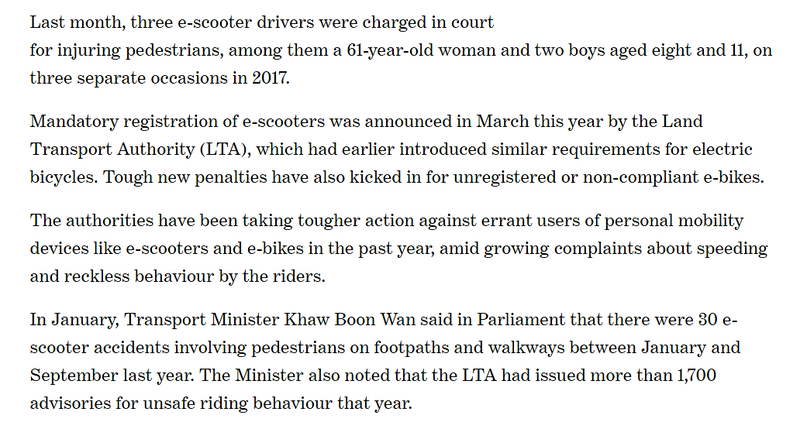 In January, Transport Minister Khaw Boon Wan said in Parliament that there were 30 e-scooter accidents involving pedestrians on footpaths and walkways between January and September last year. The Minister also noted that the LTA had issued more than 1,700 advisories for unsafe riding behaviour that year. From January to September last year, there were a total of 30 accidents involving personal mobility devices (PMDs) & pedestrians on public paths, Transport Minister Khaw Boon Wan said in Parliament on Monday (Jan 8). 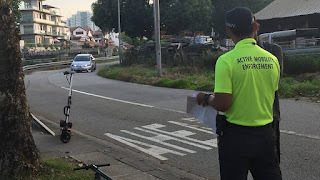 In total, there were about 110 accidents involving PMDs such as e-scooters in the same period last year, he added. 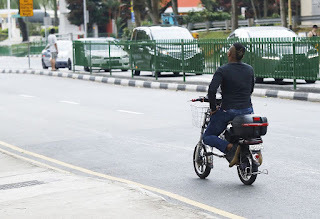 "These accidents occurred on public paths, or at road junctions when PMD riders were crossing the road, or on roads when PMD riders were riding parallel to vehicle traffic illegally," Mr Khaw wrote in a separate reply. 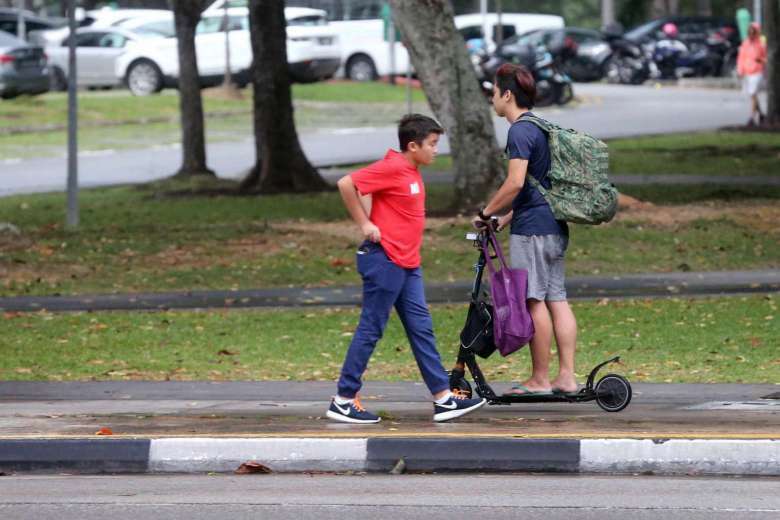 From January to September 2017, there were 30 e-scooter accidents involving pedestrians on footpaths & walkways, but the Active Mobility Act will help regulate such incidents, said Transport Minister Khaw Boon Wan in Parliament on Monday (8 Jan). The Minister noted that in 2017, the Land Transport Authority (LTA) issued more than 1,700 advisories for unsafe riding behaviour. LTA does not have statistics on near-misses. 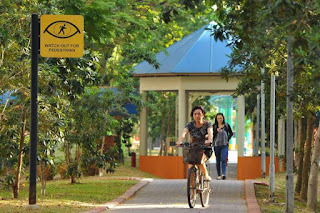 The Active Mobility Act empowers the Land Transport Authority (LTA) to regulate the types of devices permitted and the behaviour of device users on public paths. As such, errant users of Personal Mobility Devices (PMDs) will face fines once the Act comes into force. The use of PMDs, such as e-scooters, on all public roads is prohibited. A cyclist who knocked down an elderly woman in a market, leaving her with a broken left hip bone, was sentenced to 2 weeks' jail yesterday. 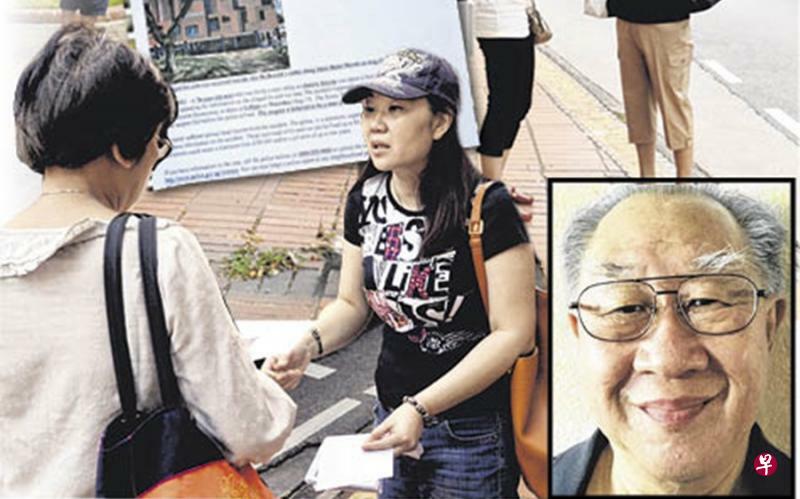 Hawker stall owner Cai Mei Ying was also ordered to pay $7,000 in compensation to Madam Ang Ah Soi, 77. 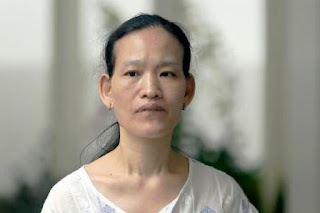 The district court heard that Madam Ang's medical bills exceeded $13,000, but Cai, 49, cannot compensate her the full amount. Cai earns between $1,250 & $1,500 a month. 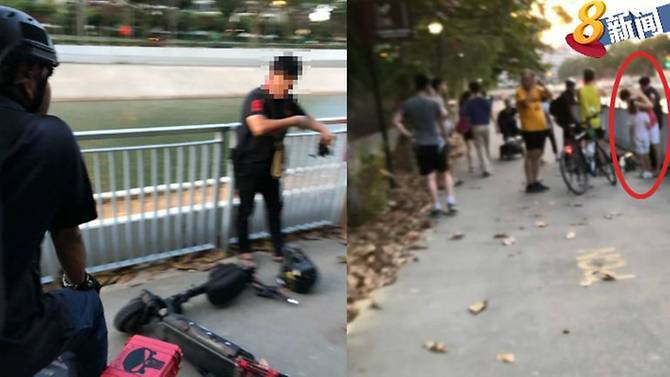 Three e-scooter riders will be charged in court on Friday (9 March), in separate cases, for allegedly causing hurt to pedestrians while operating their personal mobility devices (PMDs). 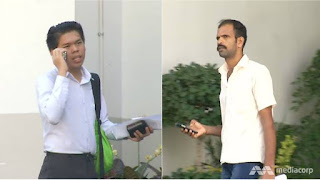 According to a Singapore Police Force news release, the three men – aged between 23 and 32 – will be charged for negligent acts causing hurt over the alleged offences committed between July and November last year. In the first incident on 5 July last year, an 11-year-old boy was injured when he was hit by an e-scooter operated by a 32-year-old man at the void deck of a HDB block along Clementi West Street 1. 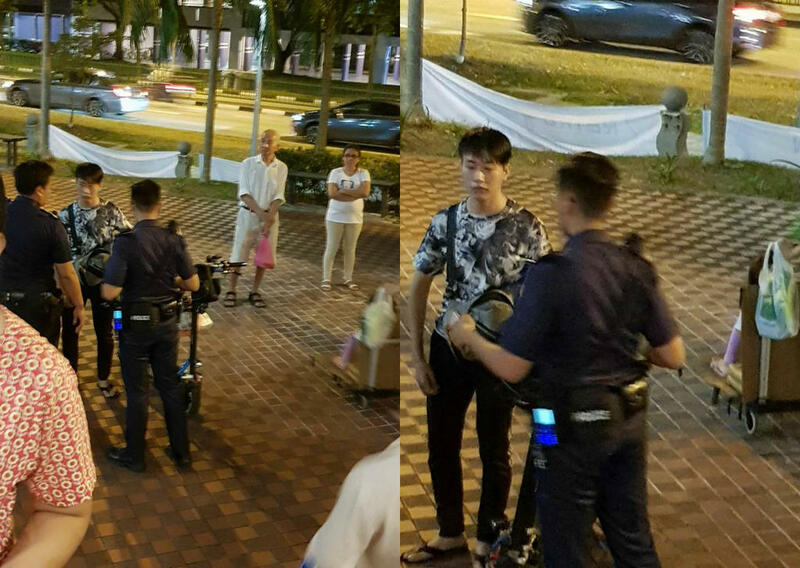 On 19 October last year, a 61-year-old woman was hit by an e-scooter being ridden by a 26-year-old man at a hawker centre at Yishun Ave 11. The woman was taken to hospital as a result of the collision. The third incident, on 14 November last year, involved an eight-year-old boy who was hit by an e-scooter operated by a 23-year-old man along a pathway at Woodlands Ave 4. 3 men were charged in court on Thursday (May 24) for separate incidents involving electronic scooters and a bicycle. Ho Jun Wei, 17, was charged with one count of causing grievous hurt by an act which endangers the life of others. 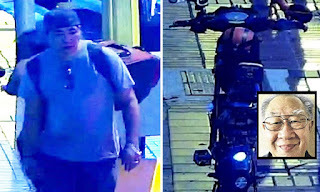 On Feb 17, Ho allegedly knocked into Wong Ah Jee while riding his e-scooter along Yishun Ring Road. Court documents showed Wong sustained fractures & injuries to his nose. 3 electric scooter riders will be charged in court on Friday (March 9) for allegedly injuring pedestrians, among them a 61-yr-old woman and two boys aged eight and 11, on 3 separate occasions last year. 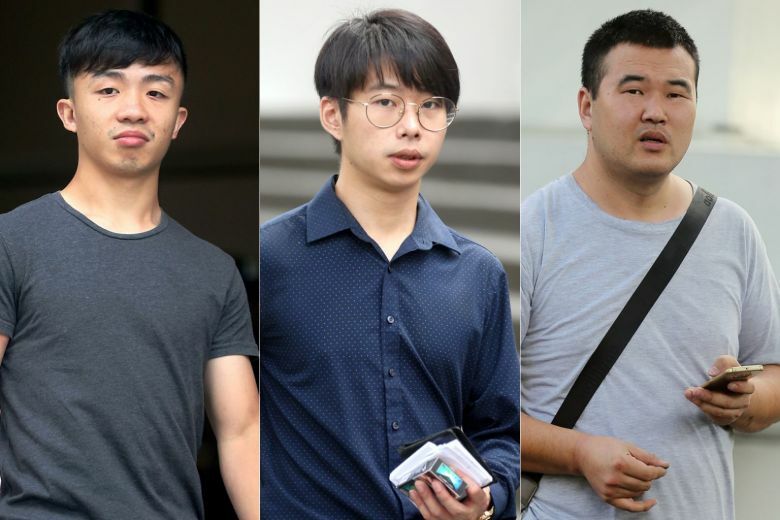 The 3 men, aged between 23 & 32, will each face a charge of negligent act causing hurt, the police said in a press release on Thursday (March 8). If convicted, they can be jailed up to six months or fined up to S$2,500, or both. Mandatory registration of e-scooters was announced on Wednesday by the Land Transport Authority, which had earlier introduced similar requirements for electric bicycles. 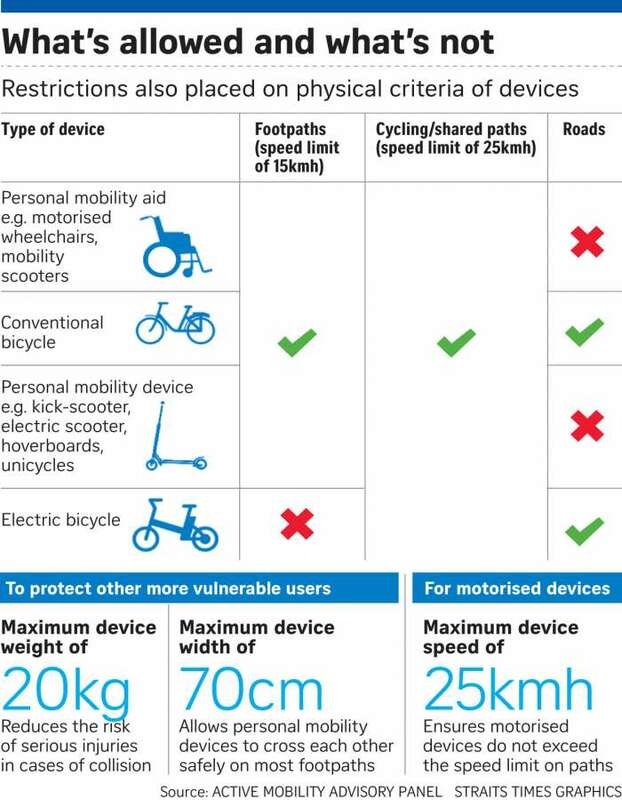 Tough new penalties have also kicked in for unregistered or non-compliant e-bikes. An electric scooter rider was given the maximum fine of $2,500 on Fri (Mar 9) after he admitted hitting a boy while riding the e-scooter in a negligent manner. This happened when logistics manager Qin Jian, 32, was riding near a lift at the void deck of Block 607, Clementi West Street 2 at around 6.50pm on July 5 last year. The 9-yr-old boy's father, who was waiting for his son at a nearby carpark, rushed to the void deck on hearing his screams. He also called the police. 3 men – two electric scooter riders and a bicyclist – will be charged in court on Thursday (24 May) over separate incidents that left three pedestrians injured. The trio, aged between 17 and 37, will be charged with committing rash or negligent acts causing hurt for separate incidents that took place between July 2017 and February this year, said a police press release on Wednesday (23 May). 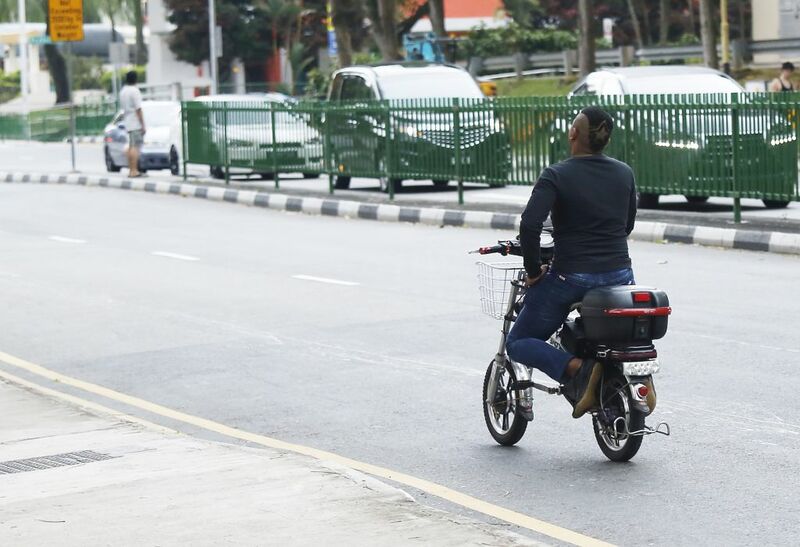 One of the e-scooter riders will also be charged under the Protection from Harassment Act (POHA). 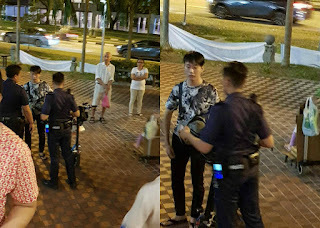 On 17 February, the 17-year-old allegedly ran into a 78-year-old man while operating an e-scooter along a pavement at Yishun Ring Road. 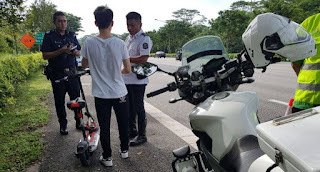 Meanwhile, the 33-year-old man being charged on Thursday had allegedly ridden his bicycle along a footpath in Simei on 21 September and collided with a 73-year-old woman. A 78-yr-old pedestrian was hit by a Power-Assisted Bicycle (PAB) & sustained serious head injuries while the PAB rider left before the police arrived at the scene. The victim died while hospitalised on Saturday (Aug 19). The police would like to urge members of the public to come forward if they have any information on the accident. 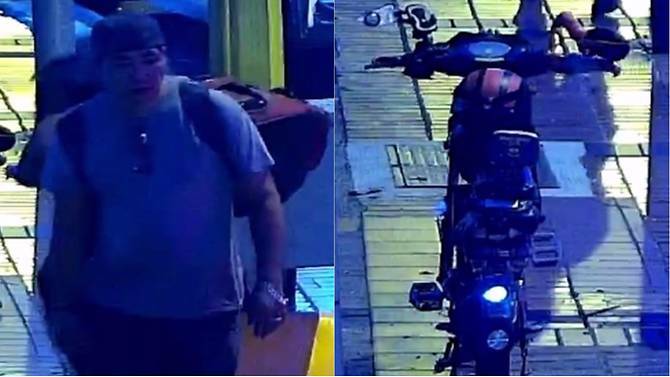 Police on Monday (Aug 21) released photos of a man suspected of being involved in a fatal hit-and-run accident last Thursday morning. 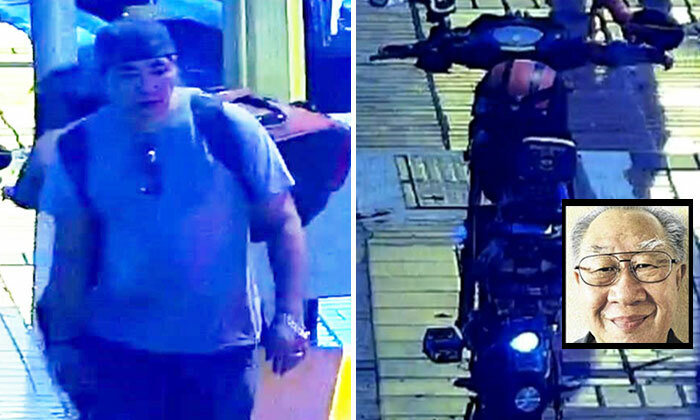 He is believed to be the rider of a power-assisted bike that hit a 78-yr-old man outside McDonald's at Jalan Bukit Merah, towards Queensway, at about 6.35am on Aug 17. Police said the e-bike rider left the scene before officers arrived. The pedestrian had serious head injuries and died on Saturday, police added. A 49-yr-old man has been arrested in connection with a hit-and-run accident along Jalan Bukit Merah last week that resulted in the death of a 78-yr-old man. Last Thursday (Aug 17) at about 6.35am, Mr Song Chee Keong was hit by a power-assisted bicycle - otherwise known as an electric bicycle or e-bike - outside a McDonald's outlet along Jalan Bukit Merah, sustaining serious head injuries. The e-bike rider left before the police arrived at the scene. Mr Song later died of his injuries in hospital last Saturday. 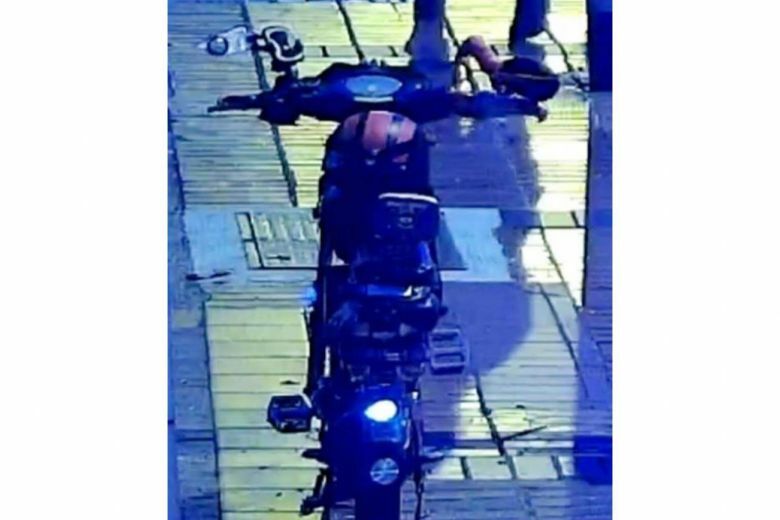 A 62-yr-old man riding an electric bicycle sustained injuries on Wednesday (Oct 18) after colliding with a car during his morning commute along Bedok North Ave 3. The man was sent to Changi General Hospital unconscious and has been warded. The extent of his injuries is unclear. TODAY understands that the driver, a male Singaporean in his 40s, was in a black Toyota car travelling eastward along New Upper Changi Road. He was driving along the rightmost lane when the elderly man came by his right, TODAY understands. A teenage e-scooter rider who left a housewife in a coma after colliding into her at a bus stop along Pasir Ris Drive was slapped with a 14-day short detention order and 100 hours of community service on Tuesday (17 July). 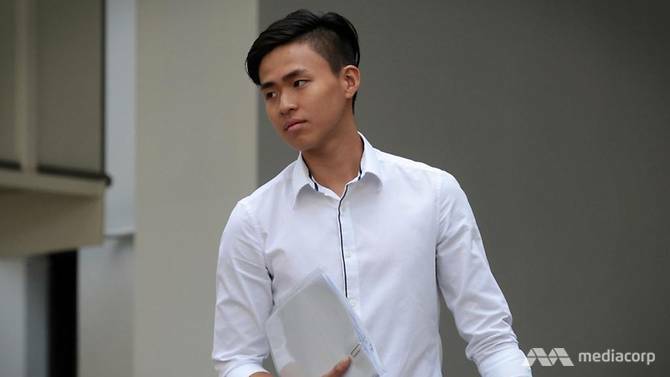 Polytechnic student Nicholas Ting Nai Jie, 19, had pleaded guilty on 13 June to one charge of causing grievous hurt via a negligent act to 54-year-old Ang Liu Kiow. The short detention order mean that Ting will be detained in prison but will not have a criminal record. In sentencing Ting, District Judge Eddy Tham warned the teenager that if he did not comply with the Community Service Order, he could be sentenced afresh for the offence. The DJ also ordered Ting’s e-scooter to be forfeited and disposed of by the police. Ting’s lawyer, Peter Keith Fernando, said that his client had not seen any buses approaching the bus stop and did not expect anyone to step in front of his e-scooter. “Nicholas reacted as fast as he could and applied the handle bar brakes while (his girlfriend) jumped off before he collided into (Ang),” said Fernando. A polytechnic student was given a 2-week short detention order on Tuesday (Jul 17) after knocking into a pedestrian while riding an e-scooter, causing her to suffer severe brain injuries. This means Nicholas Ting Nai Jie will have to serve a brief stint behind bars but will not have a criminal record after he is released. He was also ordered to perform 100 hours of community service. Madam Ang Liu Kiow, 55, was left in a coma for a month. 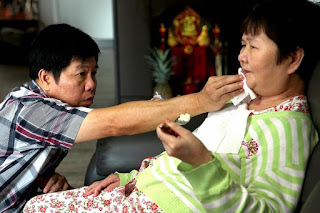 Her husband told The Straits Times in a subsequent interview that the housewife can no longer remember the past or express herself properly. A 19-yr-old electric scooter rider who collided into a pedestrian, leaving her with brain injuries and in a coma, was given a short detention order and community service on Tuesday (Jul 17). His speed when approaching a bus stop near Block 541, Pasir Ris Street 51, was about 14kmh to 15kmh, & he did not slow down, court documents said. A polytechnic student's sentencing yesterday for hitting a woman while riding his e-scooter may mark the close of a chapter for him, but Madam Ang Liu Kiow's story goes on. The 55-yr-old was at a bus stop in Pasir Ris in September 2016, when Nicholas Ting Nai Jie, 19, knocked into her, leaving her with severe brain injuries. For Madam Ang's family members, who were not present at the sentencing, the outcome means little. 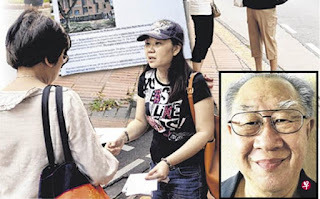 Her husband, Mr Leong Loon Wah, 55, said of Ting's detention order: "It is only for 2 weeks, while I have to take care of her indefinitely." A 34-yr-old man has been arrested for his suspected involvement in a case of rash act causing hurt at Chinatown MRT Station, police said on Sat (Jan 27). Police said they received a report that someone had been knocked down by an e-scooter at about 4pm on Friday. They arrested the suspect at the scene and seized the e-scooter. 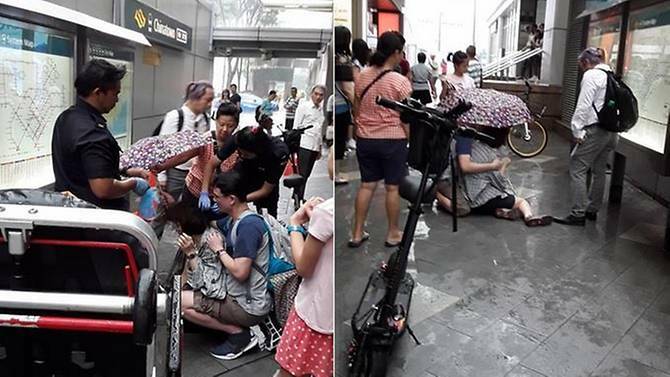 Channel NewsAsia understands that the man rode his e-scooter into a Taiwanese tourist and the woman was taken to hospital for outpatient treatment. Singapore local police said that they have arrested a 34-yr-old e-scooter driver for causing injuries at Chinatown MRT Station after performing a rash act on January 27, Saturday. Police said that they received a complaint that a Taiwanese tourist has been knocked down by an e-scooter at around 4 pm. The authority acted immediately by seizing the scooter and arresting the Singaporean man from the location. The injured woman was rushed to the hospital for treatment. An 11-yr-old girl had to have her jaw and gums realigned, after an e-scooter crashed into her on Thu (Apr 12) evening along Pasir Ris Drive 1. The child, who also lost 2 of her teeth and suffered multiple cuts and abrasions, “cried when she saw her face in the mirror”, said her father Rahmat Nizam Samat, 38, a civil servant. The police say they have arrested the e-scooter rider, a 24-yr-old man. Investigations are ongoing. 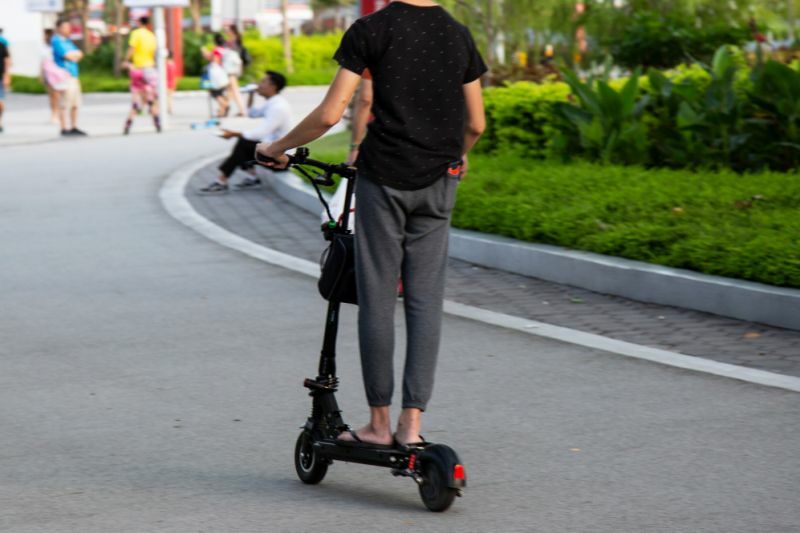 A 6-yr-old boy was taken to hospital after an e-scooter crashed into him near Punggol Park on Thursday (Apr 12) evening. Eyewitness Mr Su told Channel 8 News that he was jogging in the area when he saw a crowd gathering in the distance. When he approached the scene, he said he saw blood on the rider's hands and the e-scooter was damaged. "The boy was crying very badly. It seems he was in a lot of pain and his family members were comforting him," he said, adding that he believed the boy had been hit on the back of his head. An electric-scooter rider was taken to hospital on Sat (Apr 21) after a collision with a vehicle in Bukit Timah. Police said they were alerted to an accident involving a taxi & an e-scooter at the junction of Jalan Anak Bukit and Jalan Jurong Kechil at 1.56pm on Saturday. The e-scooter rider was a 49-year-old man. 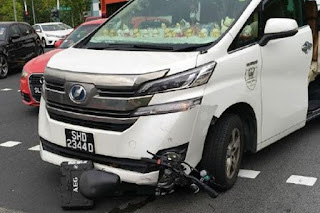 A photo of the accident, posted in online Telegram chat group SG Road Blocks/Traffic News, shows the e-scooter crushed under a white vehicle. Trailer driver Sahadevan Senguttuvan said he panicked when he saw the e-bikers and did not brake. The driver of the trailer involved in an accident that killed two e-bikers on West Coast Highway last October said he panicked when he saw them, and made no attempt to brake before the collision. Instead, Sahadevan Senguttuvan, now 35, told a coroner’s inquiry that he tried "changing lanes". 2 men were killed on Oct 27 last year when Mr Sahadevan's prime mover trailer crashed into them. 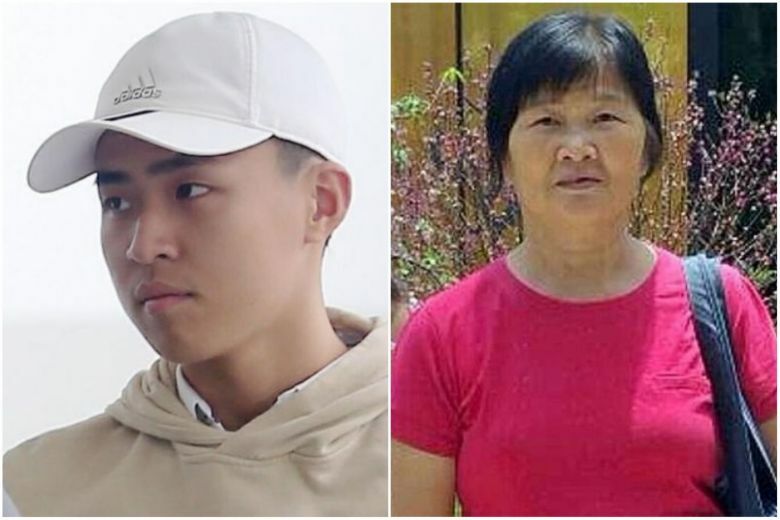 Ang Yee Fong, 25, was pronounced dead at the scene, and Ong Zi Quan, 18, was pronounced dead at the National University Hospital. A 3rd e-biker, Marcus Loke Teck Soon, who was 17 yrs old at the time, had leg injuries. On Sep 1, an electric scooter hit my wife from behind on the pavement along Sims Avenue East. She fell on her side and bruised her hip. Some parishioners from the nearby church came to her aid. 2 teenagers had been racing each other on their e-scooters. They insisted that they had honked and that my wife was at fault for not moving aside. She retorted that there was too much noise around and that she did not have eyes in the back of her head. The teenagers left, feeling that they had done no wrong. Capable of causing serious injuries even at the current legal speed limit, e-scooters are coming under more regulation – but some are arguing to ban them from footpaths & shared paths altogether. They may seem light, minimalist devices, but a hit by an e-scooter packs a wallop about nine times that of an average person’s punch – or more energy than a professional boxer’s punch. 3 men who rode electric scooters at speeds exceeding 100kmh were arrested for dangerous driving, the police confirmed on Thu (Oct 26). Just last month, e-scooters came under the spotlight following an accident when an e-scooter collided with a woman pedestrian. 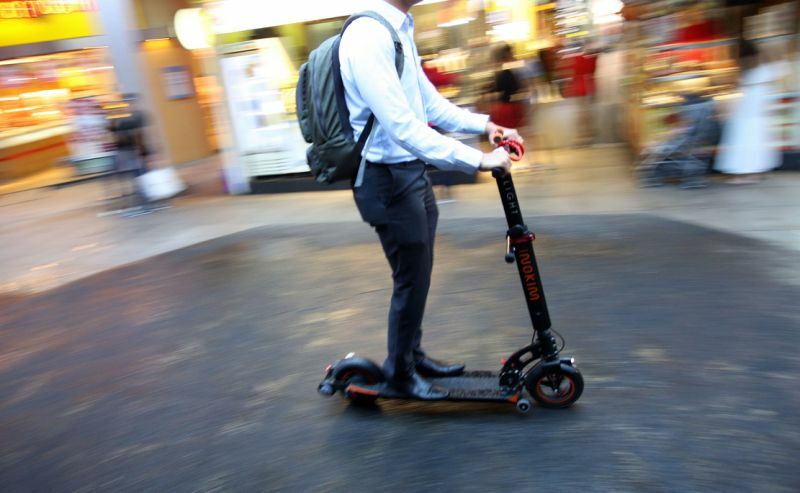 The accident has re-ignited safety concerns about the use of personal mobility devices such as e-scooters and hoverboards, which are increasing in popularity. Mr Denis Koh, who leads e-scooter interest group Big Wheel Scooters Singapore & served on the Government's Active Mobility Advisory Panel (AMAP), told The Straits Times that electric device users have a greater responsibility for road safety than pedestrians because "faster-moving vehicles should always practise safety and due diligence". There has been yet another accident and death involving users of personal mobility devices (PMDs). (52-yr-old man dies after e-scooter accident at Bedok Reservoir; Nov 30). Did the Government give careful thought, or did any planning or research before allowing or encouraging the use of such devices here? 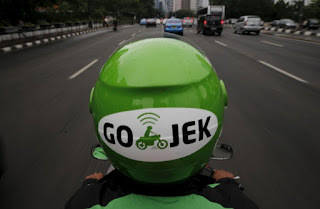 Was it a hasty move, and is there really a need, to use these for “last mile connectivity”? Is there adequate control over their usage or abuse even with regulations in place? Are the recent accidents just the tip of the iceberg? It has been a little over 2 years since personal mobility devices (PMD) such as e-scooters & hoverboards started to proliferate here. Unlike cities such as New York, Tokyo, London and Hong Kong, Singapore has embraced these devices, with the view that they contribute to a car-lite society. In this instance, Singapore has been ahead of the curve. Some of the cities which have had partial or total bans on such devices are now reviewing their stand. 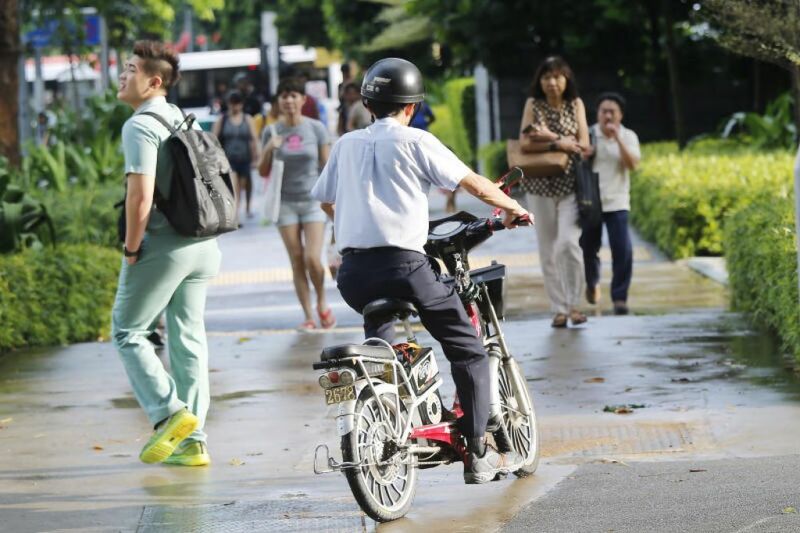 The compulsory registration of power-assisted bicycles, or e-bikes, will begin on Aug 14, the Land Transport Authority (LTA) announced on Wed (Aug 2). Last year, the Active Mobility Panel suggested that e-bikes be registered to facilitate enforcement against errant riders and those who illegally modify their bicycles, a recommendation the Government accepted. E-bike users have until Jan 31 next year to register their devices and affix them with a number plate. 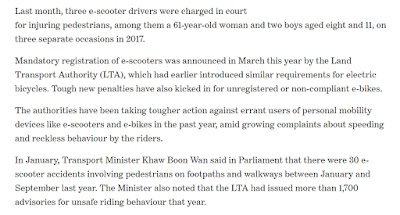 After this date, it will be an offence to keep or use an unregistered e-bike without a valid number plate on public roads or paths, LTA said in a news release. 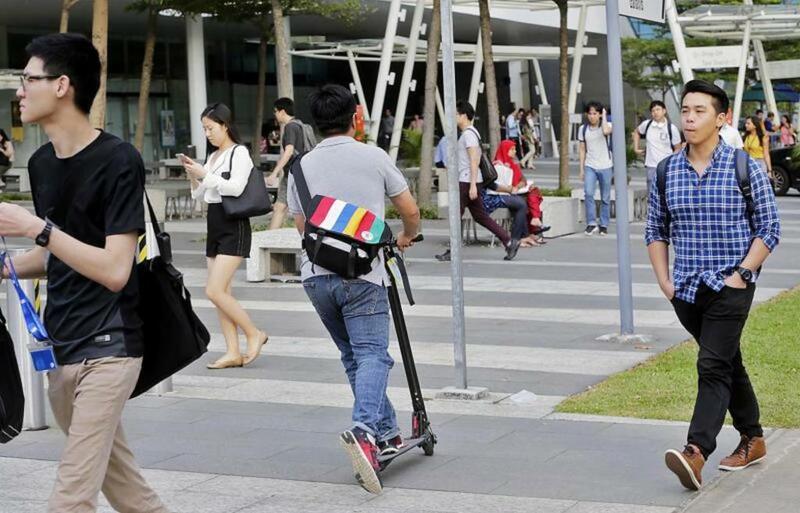 E-scooters have recently been growing in popularity in Singapore. These devices can be especially helpful for those who have reduced mobility, or who need to move between several relatively nearby locations multiple times a day, or who simply appreciate the added convenience of having another transportation option. 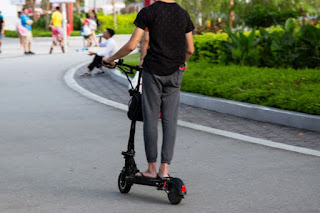 The use of e-scooters on public paths in Singapore is governed by the Active Mobility Act (AMA), which fully came into effect on 1 May 2018. E-scooter riders should be mindful of their rights and obligations under the AMA to avoid being fined, jailed or even having their e-scooters seized. On Which Paths Can You Ride Your E-Scooter? Can You Bring Your E-Scooter onto Public Transport? Or into Shopping Centres? 5A.—(1) An individual must not ride a personal mobility device on a road at any time. 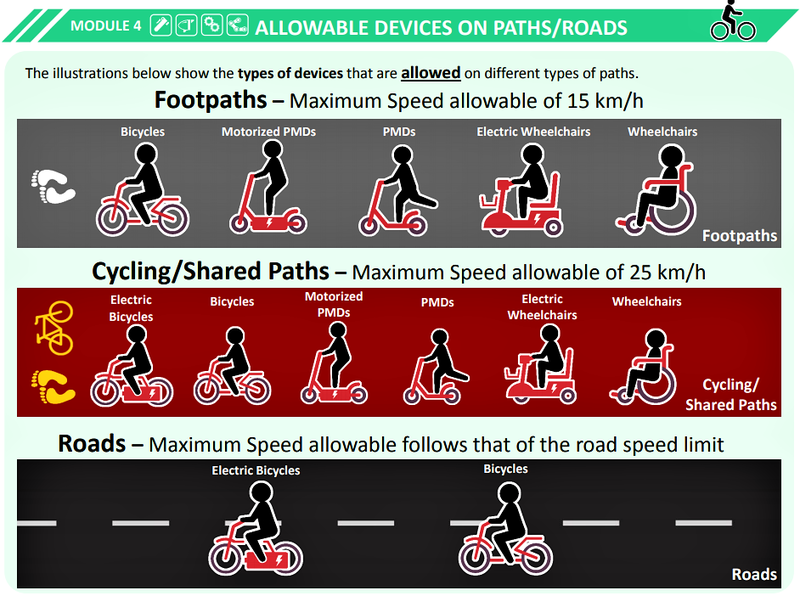 The rules and code of conduct for cycling and the use of Personal Mobility Devices (PMDs) were developed by the Active Mobility Advisory Panel for the safe and harmonious use of paths. It is not rare to see personal mobility devices such as e-scooters in Singapore. The usage of personal mobility devices has become increasingly popular in recent years. Unfortunately, accidents involving personal mobility devices are not uncommon. The first half of 2017 saw approximately 90 accidents involving personal mobility devices and e-bicycles. What should you do if you are involved in an accident while riding your e-scooter? It could be legal to ride your bicycle or electric scooter on the pavements as early as the end of this year, after the Government fully accepted an expert panel's recommendations to boost active mobility here. 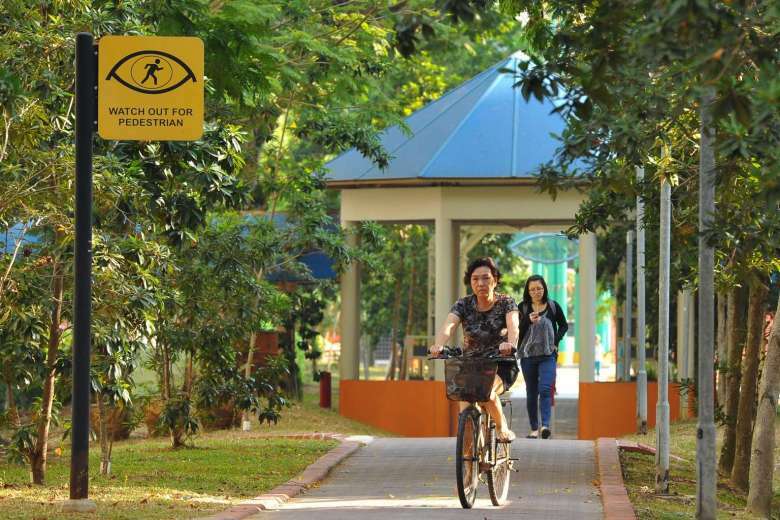 Speaking in Parliament on Tuesday (Apr 12) during the Transport Ministry's Budget debate, Senior Minister of State for Transport Josephine Teo said this was part of efforts to enhance accessibility for commuters. In the bigger picture, it is also a key strategy in Singapore's push to reduce its reliance on cars. The Active Mobility Advisory Panel released last month a set of rules and guidelines to govern the use of personal mobility devices here. A 'Sign of Distress' in Singapore?